Our product range includes a wide range of abiraterone acetate tablet, pembrolizumab injection, 420 mg intravenous injection, daclahep tablets, ledifos tablets and ruxolitinib tablets. 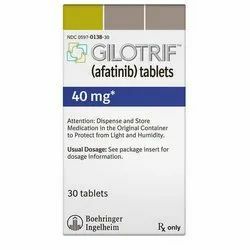 This medication is used along with prednisone to treat men with prostate cancer that has spread to other areas of the body. 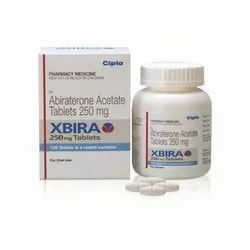 Abiraterone belongs to a class of drugs known as anti-androgens . a natural hormone, helps prostate cancer to grow and spread. 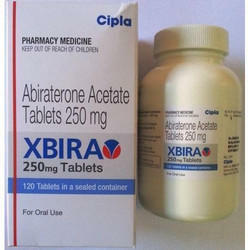 Abiraterone works by blocking the production of , thereby slowing the growth and spread of prostate cancer. 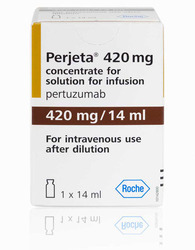 Pertuzumab is a monoclonal antibody, prescribed for HER2-positive breast cancer (which is more aggressive) either alone or with other medications. 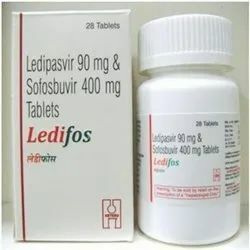 Ledipasvir +Sofosbuvir is a two-drug fixed-dose combination product that contains 90 mg of ledipasvir and 400 mg of sofosbuvir in a single tablet. 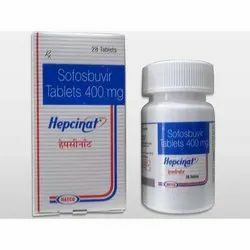 It is indicated for the treatment of chronic hepatitis C (CHC) genotype 1 infection in adults. 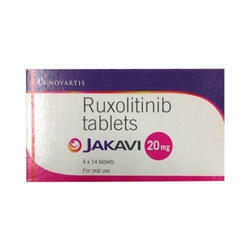 Backed by rich industry experiences; we are highly engaged in offering a premium quality range of Ruxolitinib Tablets. 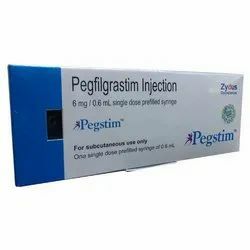 Pegstim Injection contains Pegfilgrastim as an active ingredient.Pegstim Injection works by increasing the production of red blood cells, white blood cells, and platelets.Detailed information related to Pegstim Injection's uses, composition, dosage, side effects and reviews is listed below. Pegstim Injection may also be used for purposes not listed here. 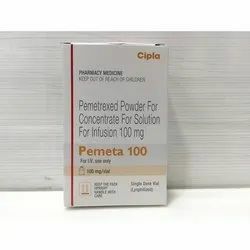 Pemeta 100mg Injection is used in the treatment of Ovarian cancer, Head and neck cancer, Cervical cancer, Testicular cancer., Breast cancer, non-Hodgkin lymphoma (NHL), Blood cancer, Lung cancer, Bone cancer and Urinary bladder cancer. is used together with another medication (capecitabine) to treat a certain type of breast cancer (HER2-positive) that has not responded to the standard treatment. 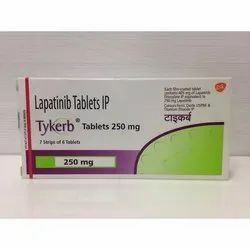 Lapatinib may also be used together with another medication (letrozole) to treat HER2-positive breast cancer in women after menopause. It works by slowing or stopping the growth of cancer cells. Since this drug can be absorbed through the skin and lungs, women who are pregnantor who may become pregnant should not handle this medication or breathe the dust from the tablets. 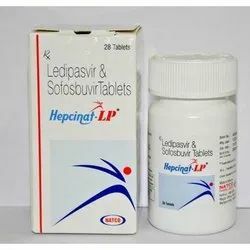 Follow your doctor's instructions on how to correctly take capecitabine or letrozolewith lapatinib. 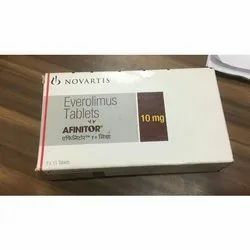 Afinitor 10mg Tablet is used in breast cancer, pancreatic cancer, lung cancer and kidney cancer. Afinitor 10mg tablet suppresses the activity of body's immune system and prevents rejection of the transplanted organ. 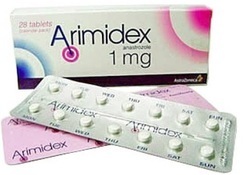 Anastrozole, sold under the brand name Arimidex among others, is a medication used in addition to other treatments for breast cancer. 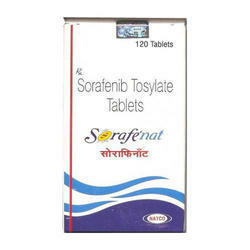 Specifically it is used for hormone receptor-positive breast cancer. It has also been used to prevent breast cancer in those at high risk. It is taken by mouth. Common side effects include hot flushes, altered mood, joint pain, and nausea. Severe side effects include an increased risk of heart disease and osteoporosis. Use during pregnancy is known to harm the baby. Anastrozole is in the aromatase-inhibiting family of medications. It works by blocking the creation of estrogen. Anastrozole was patented in 1987 and approved for medical use in 1995. It is on the World Health Organization's List of Essential Medicines, the most effective and safe medicines needed in a health system. Anastrozole is available as a generic medication. The wholesale cost in the developing world is about 1.92 to 30.60 USD a month. In the United States the wholesale cost is about 3.81 USD per month. Bevacizumab, sold under the trade name, is medication used to treat a number of types of cancers and a specific eye disease. For cancer it is given by slow injection into a vein and used for colon cancer, lung cancer, glioblastoma, and renal-cell carcinoma. For age-related macular degeneration it is given by injection into the eye. Common side effects when used for cancer include nose bleeds, headache, high blood pressure, and rash. Other severe side effects include gastrointestinal perforation, bleeding, allergic reactions, blood clots, and an increased risk of infection. When used for eye disease side effects can include vision loss and retinal detachment. Bevacizumab is in the angiogenesis inhibitor and monoclonal antibody families of medication. It works by slowing the growth of new blood vessels. 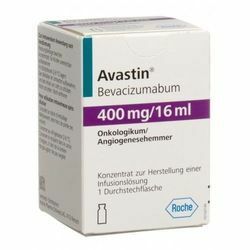 Bevacizumab was approved for medical use in the United States in 2004. It is on the World Health Organization's List of Essential Medicines, the most effective and safe medicines needed in a health system. It is listed for its use in treating eye disease. The wholesale cost in the developing world is about US$638.54 per vial. This dose in the United Kingdom costs the NHS about £242.66. 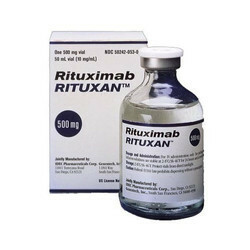 Rituximab, sold under the brand name Rituxan among others, is a medication used to treat certain autoimmune diseases and types of cancer. 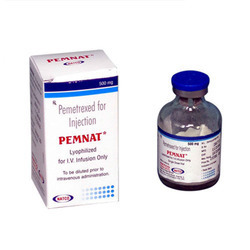 It is used for non-Hodgkin's lymphoma, chronic lymphocytic leukemia, rheumatoid arthritis, granulomatosis with polyangiitis, idiopathic thrombocytopenic purpura, pemphigus vulgaris and myasthenia gravis. It is given by slow injection into a vein. Common side effects, which often occur within two hours of the medication being given, include rash, itchiness, low blood pressure, and shortness of breath. Other severe side effects include reactivation of hepatitis B in those previously infected, progressive multifocal leukoencephalopathy, and toxic epidermal necrolysis. It is unclear if use during pregnancy is safe for the baby. Rituximab is a chimeric monoclonal antibody against the protein CD20, which is primarily found on the surface of immune system B cells. When it binds to this protein it triggers cell death. 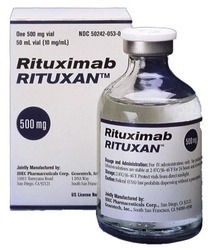 Rituximab was approved for medical use in 1997. It is on the World Health Organization's List of Essential Medicines, the most effective and safe medicines needed in a health system. The wholesale price in the developing world as of 2014 was US$148–496 per 100 mg. In the United Kingdom this amount cost the NHS approximately £182 in 2015. The average wholesale price in the United States of a typical treatment for rheumatoid arthritis (1,000 mg IV dose, 2 weeks apart) would have been $14,100 a month in 2014 ($705 per 100 mg) but the patent expired in 2016. A number of biosimilars have been launched. 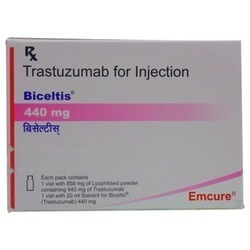 Trastuzumab, sold under the brand name among others, is a monoclonal antibody used to treat breast cancer. Specifically it is used for breast cancer that is HER2 receptor positive. It may be used by itself or together with other chemotherapy medication. Trastuzumab is given by slow injection into a vein and injection just under the skin. Common side effects include fever, infection, cough, headache, trouble sleeping, and rash. Other severe side effects include heart failure, allergic reactions, and lung disease. Use during pregnancy may harm the baby. Trastuzumab works by binding to the HER2 receptor and slowing down cell duplication. 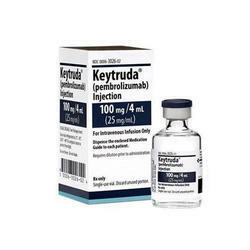 Trastuzumab was approved for medical use in the United States in 1998. It is on the World Health Organization's List of Essential Medicines, the most effective and safe medicines needed in a health system. 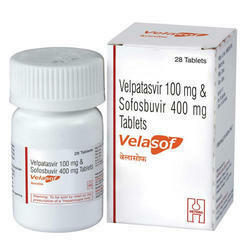 The wholesale price in the developing world is between US$1,800 and US$1,955 per 440 mg vial. In the United Kingdom a 150 mg vial costs the NHS £407.00. 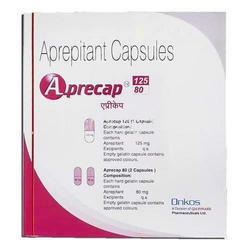 Aprepitant (brand name: Emend (the brand name used in all English-speaking countries)) is an antiemetic chemical compound that belongs to a class of drugs called substance P antagonists (SPA). It mediates its effect by blocking the neurokinin 1 (NK1) receptor. Aprepitant is manufactured by Merck & Co. under the brand name Emend for prevention of acute and delayed chemotherapy-induced nausea and vomiting (CINV) and for prevention of postoperative nausea and vomiting. It was approved by the FDA in 2003. Aprepitant may also be useful in the treatment of cyclic vomiting syndrome and late-stage chemotherapy induced vomiting, but there are few studies to date. 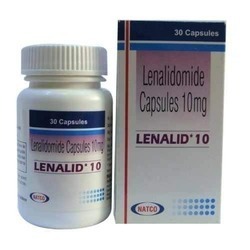 Lenalidomide (trade name Revlimid) is a derivative of thalidomide introduced in 2004. It was initially intended as a treatment for multiple myeloma, for which thalidomide is an accepted therapeutic treatment. Lenalidomide has also shown efficacy in the class of hematological disorders known as myelodysplastic syndromes (MDS). Along with several other drugs developed in recent years, lenalidomide has significantly improved overall survival in myeloma (which formerly carried a poor prognosis), although toxicity remains an issue for users. It costs $163,381 per year for the average patient. Rituximab, sold under the brand name Rituxan among others, is a medication used to treat certain autoimmune diseases and types of cancer. 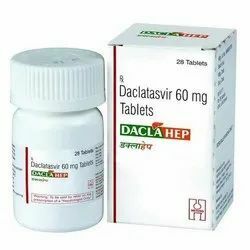 It is used for non-Hodgkin's lymphoma, chronic lymphocytic leukemia, rheumatoid arthritis, granulomatosis with polyangiitis, idiopathic thrombocytopenic purpura, pemphigus vulgaris and myasthenia gravis. It is given by slow injection into a vein. Common side effects, which often occur within two hours of the medication being given, include rash, itchiness, low blood pressure, and shortness of breath. Other severe side effects include reactivation of hepatitis B in those previously infected, progressive multifocal leukoencephalopathy, and toxic epidermal necrolysis. It is unclear if use during pregnancy is safe for the baby. Rituximab is a chimeric monoclonal antibody against the protein CD20, which is primarily found on the surface of immune system B cells. When it binds to this protein it triggers cell death. 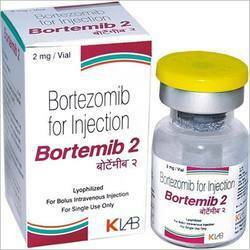 Bortezomib (BAN, INN and USAN; marketed as Velcade by Takeda Oncology; Chemobort by Cytogen and Bortecad by Cadila Healthcare) is an anti-cancer drug and the first therapeutic proteasome inhibitor to be used in humans. Proteasomes are cellular complexes that break down proteins. In some cancers, the proteins that normally kill cancer cells are broken down too quickly. Bortezomib interrupts this process and lets those proteins kill the cancer cells. It is approved in the U.S. and Europe for treating relapsed multiple myeloma and mantle cell lymphoma. In multiple myeloma, complete clinical responses have been obtained in patients with otherwise refractory or rapidly advancing disease. Cyendiv Nintedanib 100mg may also be used to treat other cancers as part of a clinical trial. It is best to read this information with our general information on non-small cell lung cancer. Nintedanib stops proteins sending signals to cancer cells to grow. Nintedanib can also stop the cancer cells from developing new blood vessels. This reduces their supply of oxygen and nutrients, so that the cancer shrinks or stops growing. 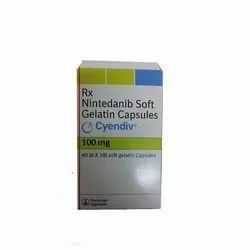 Nintedanib is used to treat a type of non-small cell lung cancer called adenocarcinoma that has spread or come back after chemotherapy. Nintedanib is given with a chemotherapy drug called docetaxel. You take nintedanib twice a day with food. Try and keep the doses 12 hours apart. For example, you might take one capsule at 8am and another one at 8pm. Swallow the capsules whole with a glass of water. Don’t chew or open them up. Always take nintedanib exactly as your nurse or pharmacist explained. This is important to make sure it works as well as possible for you. When you are having nintedanib capsules and docetaxel chemotherapy, you start taking the capsules the day after chemotherapy. Do not take nintedanib on the same day as the docetaxel. You usually take nintedanib for 20 days and then you have docetaxel again. This is called a cycle of treatment. Your doctor will talk to you about how many cycles of treatment you can have. Your doctor may talk to you about continuing nintedanib after finishing treatment with docetaxel. In this situation, you usually take nintedanib every day for as long as it keeps the cancer under control. Your doctor may ask you to stop taking nintedanib or take a lower dose because of side effects. Always follow your doctor’s advice carefully. Don’t take nintedanib if you’re allergic to peanut or soya. If you forget a dose, just take the next dose at the usual time. Never take a double dose to make up for the one you missed. Keep the capsules in the original package at room temperature. We explain the most common side effects of Nintedanib here. We haven’t included all the less common and rarer side effects. You may get some of the side effects we mention, but you will not get them all. If you have chemotherapy along with Nintedanib, some side effects may be worse. You may also have side effects not listed here. We have more information about chemotherapy. Your nurse will give you advice about managing side effects. After your treatment is over, side effects will start to improve. Always tell your doctor or nurse about the side effects you have. Eligard is used in men to treat the symptoms of prostate cancer. Your symptoms may become temporarily worse when you first start using Eligard. 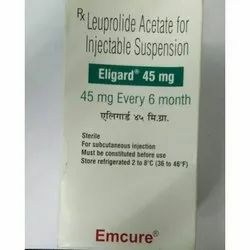 Tell your doctor if this continues for longer than 2 months.Call your doctor at once if you have a seizure, or unusual changes in mood or behavior.Eligard is for use in males. Other brands of leuprolide are used by women. Do not use leuprolide if you are pregnant. 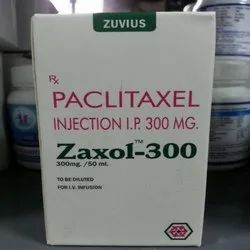 Zaxol 300 MG Infusion is an anticancer agent which is used in the treatment of various cancers of the female reproductive system, lungs, and breast. It should be used under the supervision of a qualified physician. Close monitoring of blood cell count is necessary while receiving this medication. 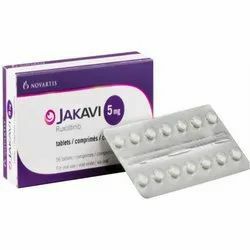 Jakavi® (ruxolitinib) is an oral inhibitor of the JAK 1 and JAK 2 tyrosine kinases. Jakavi is approved by the European Commission for the treatment of adult patients with polycythemia vera (PV) who are resistant to or intolerant of hydroxyurea and for the treatment of disease-related splenomegaly or symptoms in adult patients with primary myelofibrosis (also known as chronic idiopathic myelofibrosis), post-polycythemia vera myelofibrosis or post-essential thrombocythemia myelofibrosis1. For the treatment of Stage D2 metastatic carcinoma of the prostate cancer in combination with a Luteinizing hormone - releasing hormone (LHRH) analog. 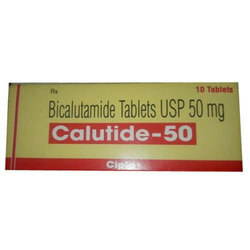 The ideal dose for bicalutamide therapy with an LHRH analog is one 50 mg tablet once daily (morning or evening) without regard to meals.